Thank you for your interest in contracting interpreting assignments through LC Interpreting Services LLC. 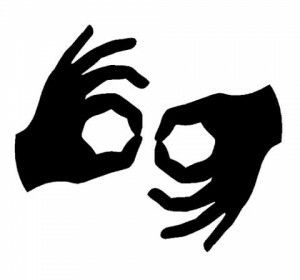 My company has a small grassroots atmosphere, so I am always looking to hire skilled interpreters who take pride in great customer service, providing quality interpretations for deaf consumers, and offering smooth professional interactions between deaf and hearing clients. In an effort to consistently provide high quality ethical interpreting services, LCIS strongly endorses the NAD-RID Code of Professional Conduct. We are committed to serving the diverse needs of deaf consumers, and we strive to work with other professionals who adhere to Principles and Tenets within this Code of Conduct. Interpreters who are not already Certified must have a plan of action to take at least the Knowledge portion of the NIC within six (6) months of being hired with LCIS, and intention to complete the Performance portion within one (1) year. I ask that you please send along a current copy of your resume and any professional development workshops that you have attended. To best assess your skills, I would also like to set up a screening to view a sample of your work. Once this information has been received, LCIS will assess your skills and contact you within 10 business days. We will then set up a screening to discuss your qualifications. This interaction will provide us both an opportunity to ask questions and evaluate where you would be a good match within LCIS. Please upload your resume and cover letter by using the form below. If you would like any further information regarding this process, please do not hesitate to be in contact. I look forward to reviewing your application!